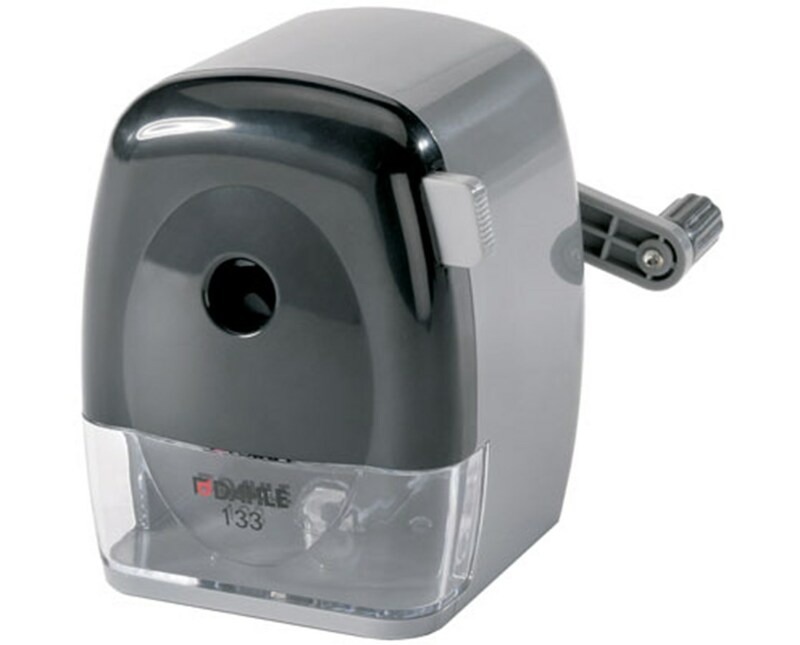 Featuring an Automatic Cutting System the Dahle Personal Rotary Pencil Sharpener sharpens the pencil evenly and prevents over-sharpening. You can sharpen your pencil with a fine tip or a blunt-edged point with the help of the point adjuster and by spinning the dial to your personal preference. 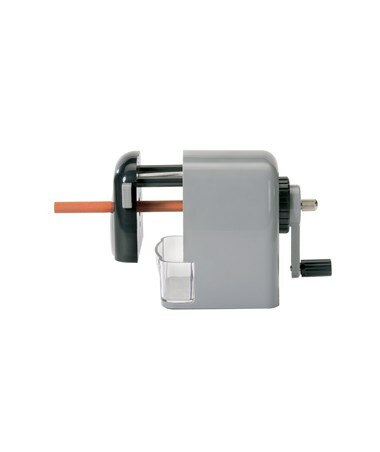 The Automatic Cutting System then spins the pencil freely preventing over-sharpening. 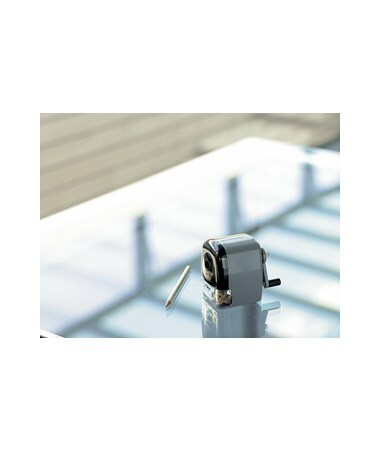 The Dahle Personal Rotary Pencil Sharpener comes with a fluted cylinder blade made of Solingen steel. This blade is designed with 12 precision ground edges for even sharpening. It is able to accommodate both standard graphite pencils and oversized artist pencils with its large pencil opening. It also comes with coated barrel grips to hold the pencil securely in place while sharpening. 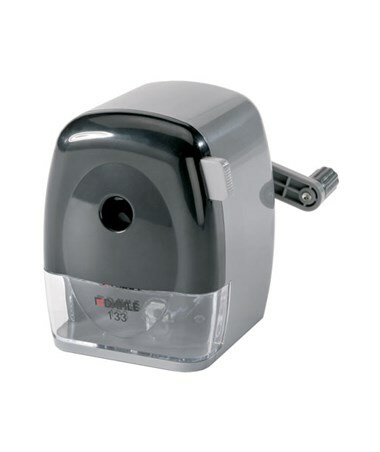 To prevent wax build up on the Dahle Personal Rotary Pencil Sharpener its cutting blade is constructed in a way that it can be easily removed and cleaned. 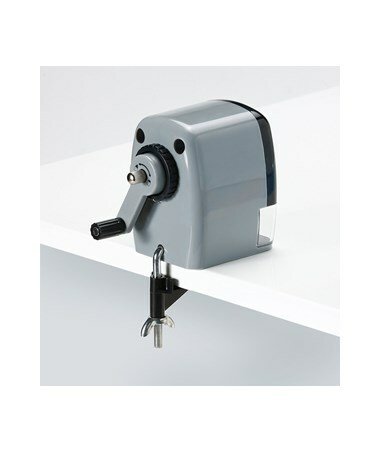 For convenient sharpening, you can use the mounting clamp included with this rotary sharpener. It also comes with a lifetime warranty.